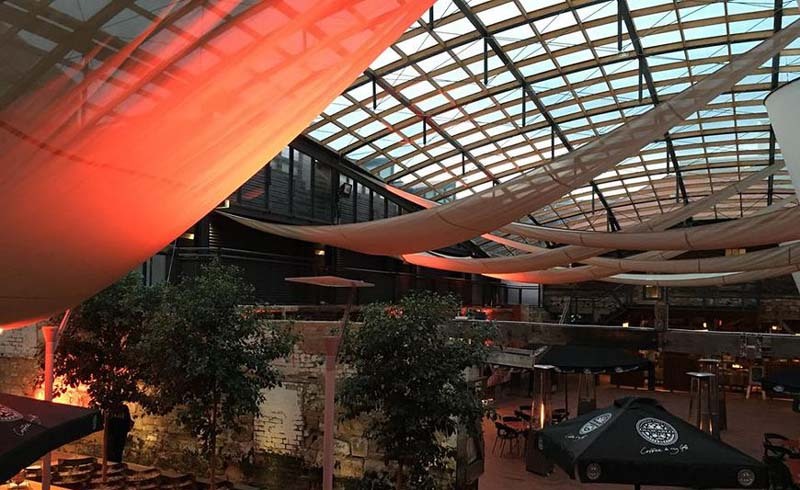 The capital city of our often-forgotten island state of Tasmania, Hobart is sometimes bumped down our list of places to see due to the assumption it is difficult to access. The truth is, you can fly there quickly and easily. Depending on where you’re flying from, there may be a stop-over involved (most likely in Melbourne), but it’s all part of the adventure! Of course, you can really ramp up the experience by departing Melbourne on the Spirit of Tasmania and go by boat, arriving in Devonport. For this, you’ll need a car or plan in place to get from Devonport to Hobart – just over three hours’ drive. Top of the To Do List when visiting Hobart is to spend a Saturday morning strolling through the Salamanca Market (on Salamanca Place). Australia’s largest outdoor market is teeming with delicious food, collectables, handmade clothing, flowers and loads more. To put yourself on its doorstep, check in to the Salamanca Inn. It is nestled within 1830s sandstone Georgian warehouses that now open their doors to restaurants and specialty shops. This stylish hotel houses 60 fully self-contained suites so whatever yummy fare you pick up at the market you can bring back for afternoon nibbles or a delectable dinner. 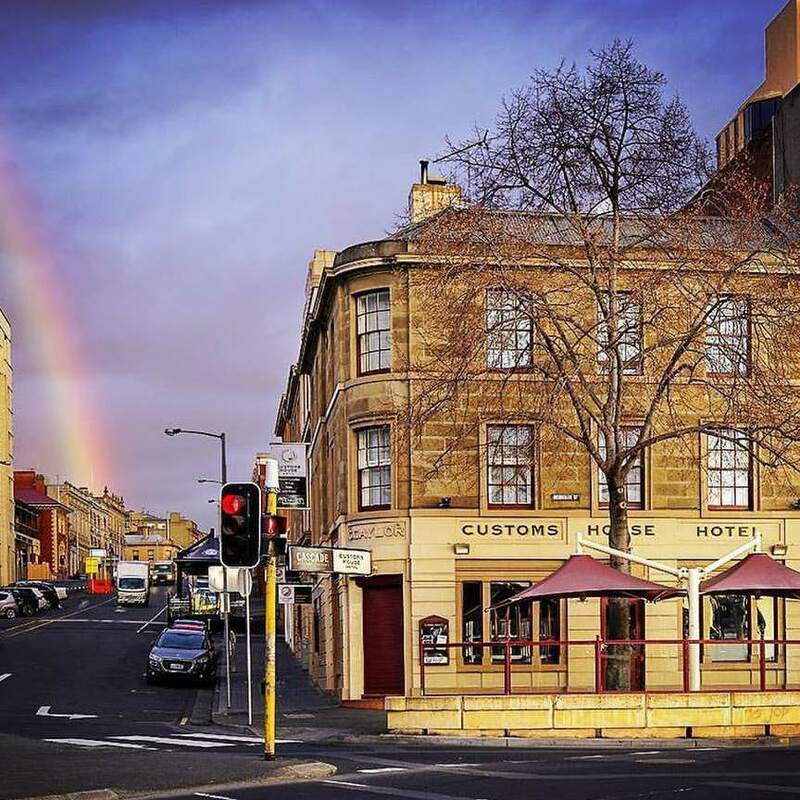 A short stroll from Salamanca Place is the charming Customs House. Perfectly located for taking in the market, it also overlooks Parliament House and its lawn and gardens. Some rooms offer marina views and for a great meal and live entertainment, you only have to walk downstairs. If you’re planning early mornings, just be prepared for the entertainment to run until midnight. 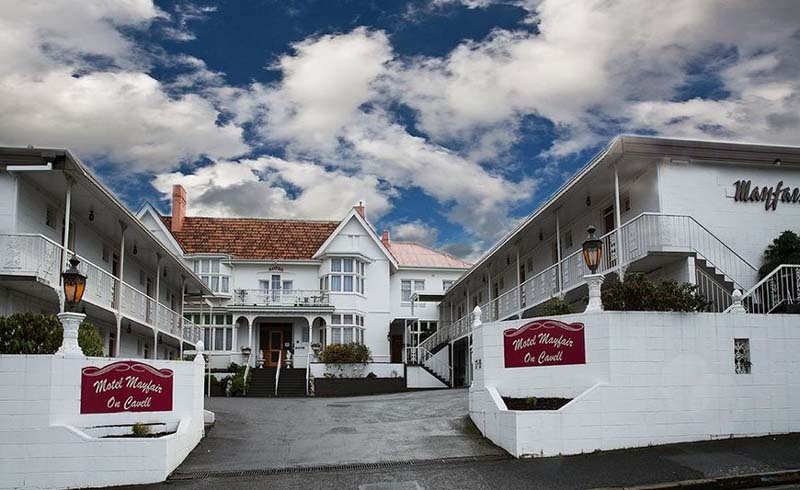 Another hotel offering all the goods of the market, marina, and parks is Lenna of Hobart. The building itself has been standing since 1874, but the rooms boast a modern fit-out with the choice of park, harbor or mountain views. If you can’t choose which setting you’d like to wake up to, there’s always the penthouse, offering 360-degree views and the ultimate in indulgence! 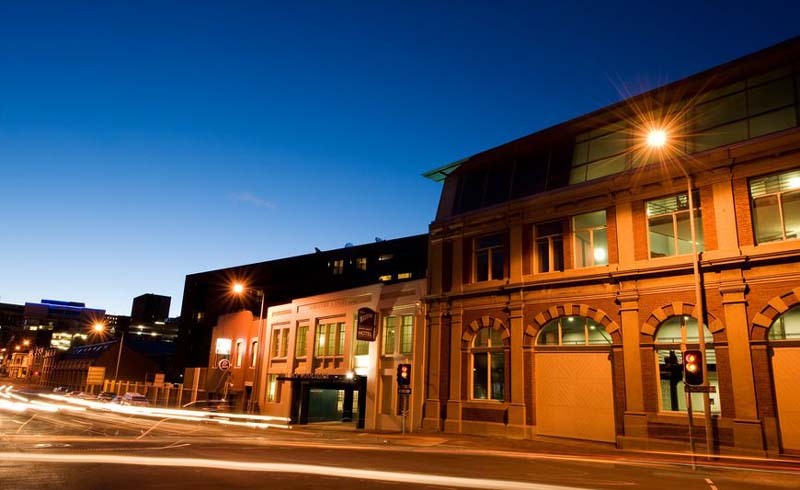 Still within Hobart’s premier entertainment and cultural hub, but standing out amid the sandstone buildings is the Salamanca Wharf Hotel. Floor to ceiling glass allows for uninterrupted views of the harbor and Princes Park. If you’re visiting between Christmas and New Year you’ll get to experience The Taste of Tasmania on your doorstep. Held in the Princes Wharf 1 facility across the road, you will literally step out of the hotel and into one of Tasmania’s largest annual events. 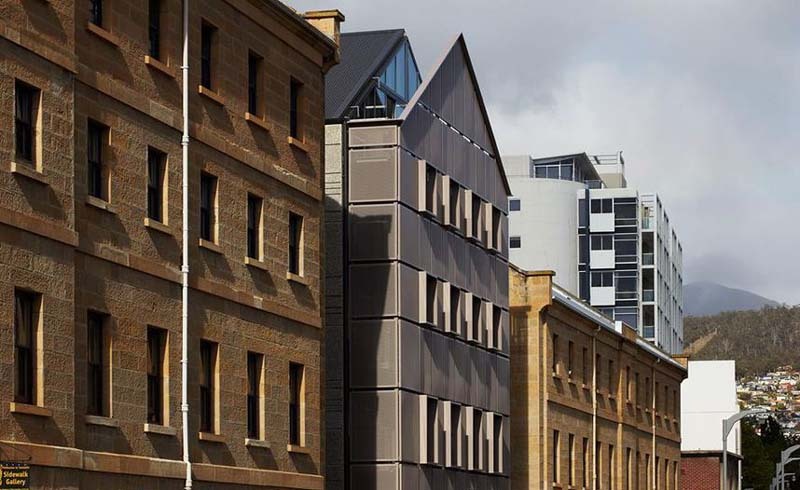 Stepping away from the Salamanca hub, across the harbor, you’ll find Australia’s first dedicated art hotel. The Henry Jones is on the waterfront and just a stone’s throw from the Tasmanian Museum and Art Gallery. The former jam factory, built in the early 1800s, is now a five-star hotel showcasing an ever-changing exhibition of over 400 artworks. 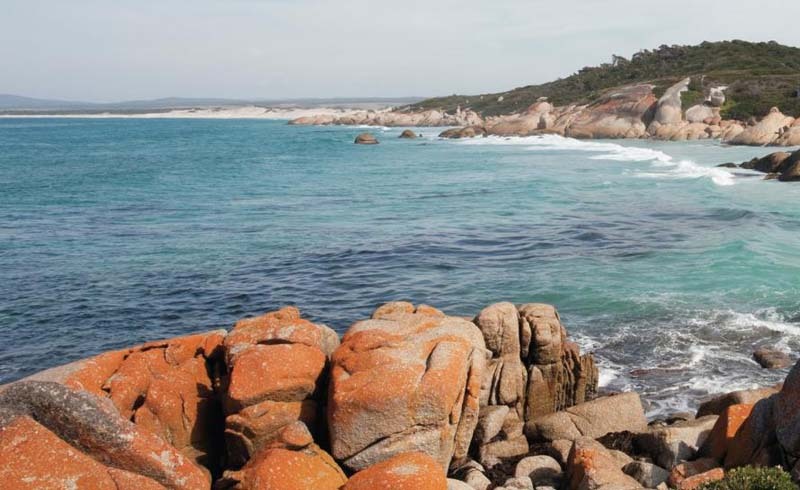 It is also home to a selection of restaurants that celebrate Tasmania’s wonderful produce. 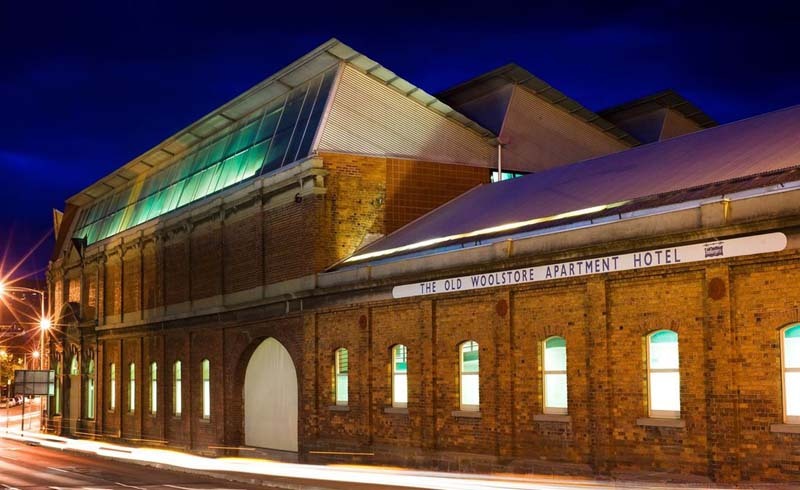 Ideal for both business and leisure travelers, The Old Woolstore Apartment Hotel is found a block away from the waterfront in the historic Sullivans Cove precinct. 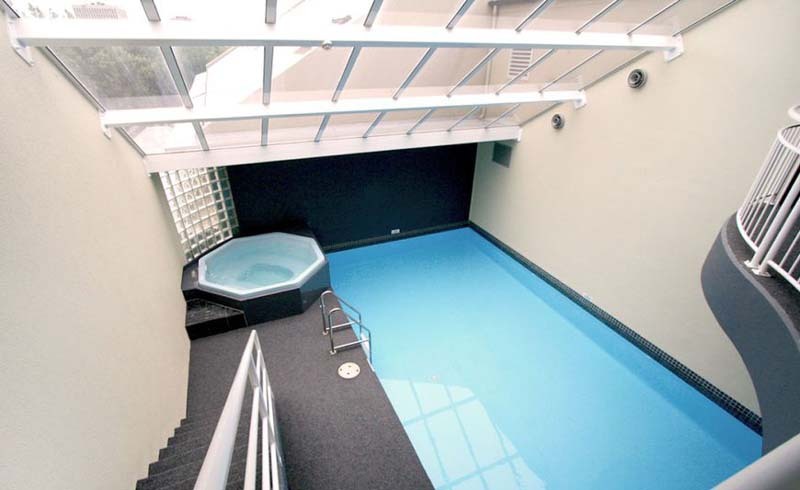 A short walk will take you into the CBD, Theatre Royal, Convention Centre and Hospital. 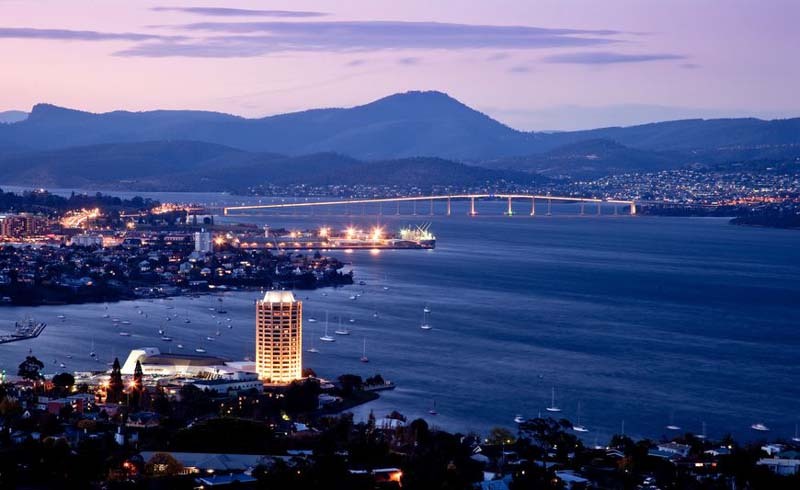 If you’re not in Hobart for the harbor or river views, but instead plan to spend some time exploring the majestic Mount Wellington, you can head west of the CBD. At Mayfair on Cavell you won’t find the glitz and glamour of the city hotels but will enjoy a quiet and comfortable sleep. During your stay be sure to ask about the property’s history, which dates back to the early 1900s and has a strong family focus. If you’re happy to hire a car and head out of the city, a quick roadtrip along the Derwent River will take you to one of the most breathtaking hotels you can imagine. 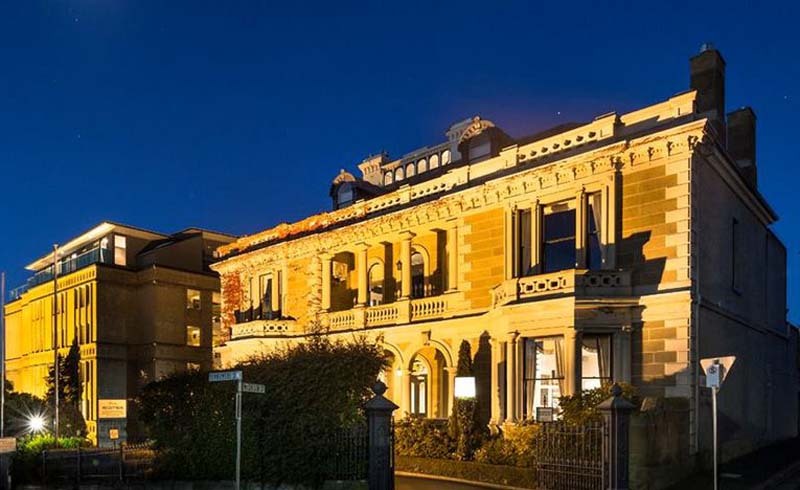 The captivating Woodbridge on the Derwent is a 5-star heritage listed mansion tucked away at New Norfolk. Its lush lawns kiss the banks of the river and there are trees and greenery as far as the eye can see. Enjoy your days at the nearby wineries or distilleries, or on the water.